Month One Complete. This is Not a Drill. You know that story that you hear from a friend of a friend that their friend was accepted into dental school days before the school year started? Well…that was me. And let me tell you…that was a complete disaster turned serendipitous blessing. However, let me rewind for a hot minute. I had a pre-December interview for CU (cue the excitement). Walking out of the interview, I thought I had nailed it. The interviewer even laughed during it, yet I eventually received the crushing news that I was waitlisted. If I didn’t get in, I wasn’t sure what I was going to do. At the time, I was working for AppleCare as their technology support specialist. I thought about taking a year off and continuing my work for Apple. 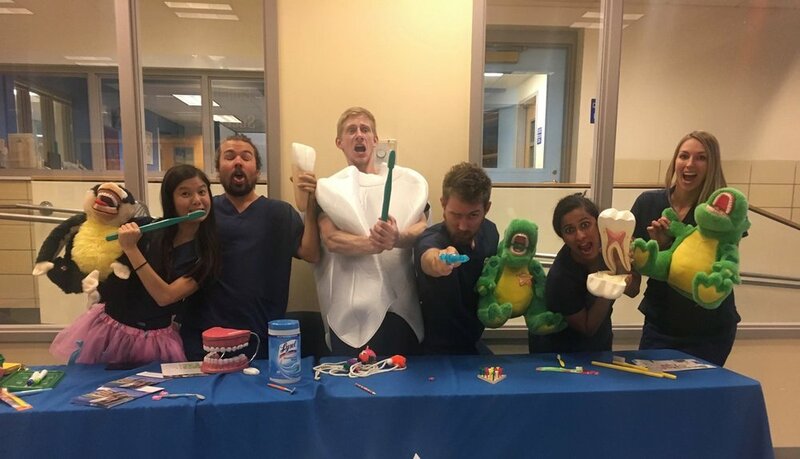 This would give me ample time to improve my dental resume with more shadowing hours, retake the DAT, rewrite my personal statement, and attend various missions and outreach opportunities. However, on the Wednesday before Orientation Week, I was sitting in Pei Wei enjoying some Pad Thai when I got a call from Barbara telling me of my acceptance…I have never danced for joy as much as I did in Pei Wei at that very moment (and probably scarred some people with my horribly happy dance moves). My future was no longer uncertain! I packed up my entire house in the following two days and left for Colorado on a 16-hour drive from Arizona. Tack on a new apartment search, transportation, endless paperwork, and you can see why my life felt like COMPLETE CHAOS. I was finally settled in and came to a realization that a mini life crisis had ended. I could now appreciate how amazing CU is and what I had to look forward to for four years. First of all, the campus is beautiful (from the classrooms to the grassy hangout areas). Everyone in my class is a gem, and the upperclassmen are extremely helpful with tips on how to succeed in different courses and wax labs. Thus far, I have learned so much academically – I’ve probably learned more information this month than I have from all of undergrad – and so much about myself. I have learned that my brain will absorb the most information between the hours of 8pm and midnight and that study groups do actually work. Over these next four years, I look forward to growing my involvement in and outside of the school. With all the constant studying, taking a break to volunteer, grab dinner, or even hangout in downtown Denver will definitely benefit the brain and give it a rest. This is a great place to call home right now. Never give up. This is especially true with your personal statement – I can honestly say I went through at least five drafts, with two of those starting completely over. I would suggest asking different types of people (your acquaintance who knows everything about dentistry, your friend who obsesses over rap music, the tutor at your local library, etc.) to read your statement and ask for critical, honest feedback from their point of view. Variety is key. One more thing, I would advise you to not ask for feedback from your parents (at least I didn’t). They might not be the best choice to give you the blunt, constructive criticism you need. When people say that the hardest part is getting in, it is true. Once you are in, the faculty sincerely want you to succeed (one of my professors even offered us his lunch hour every day to come in for help for the exam). Life throws you curveballs, so take the risk and catch as many as you can. Be adaptable. If you get waitlisted, write a letter of intent…or many (I wrote about five to Barbara. And yes, the admissions committee does actually read them. On my very first day of orientation, Barbara told me how excited she was for me because she knew how much I wanted it).